The South African eighth seed overcame John Isner 7-6 (6), 6-7 (5), 6-7 (9), 6-4, 26-24, in a record-breaking clash at The All England Club. A match that was supposed to be the “poorer” semifinal, a shooting contest between two 2-meter-plus tall players, turned out to be one of the Wimbledon classics that will be remembered for the years to come. 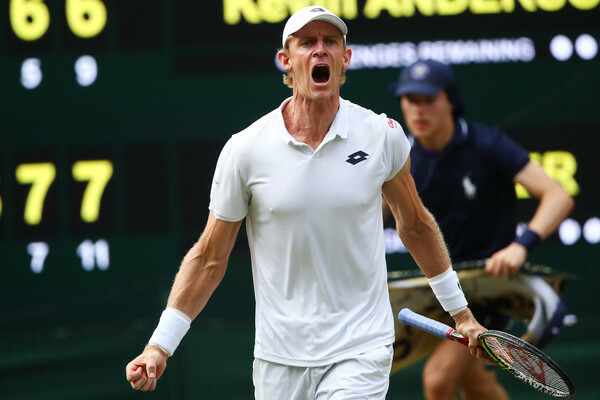 Six hours, 36 minutes of play, 99 games, 569 points, a fifth set that broke more records that can probably remembered, delivered Kevin Anderson to his second Major final in ten months. 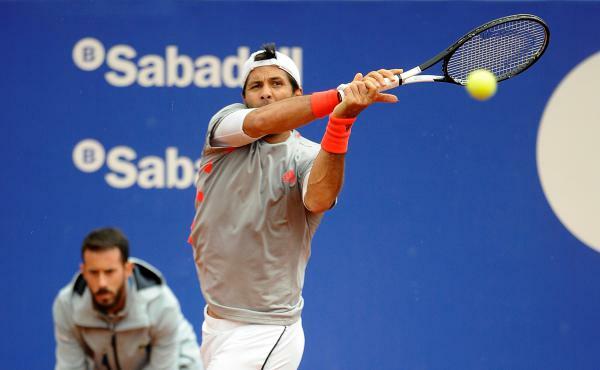 Backing up the most important win of his career (in the quarterfinals against Federer) in spectacular fashion. Anderson’s’s surprising returns and his superior balance between the strength of his two baseline shots made the difference in the end, together with his fitness that was crucial in that never-ending fifth set. 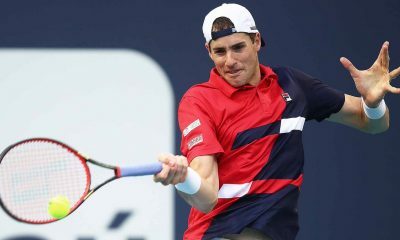 It was certainly Isner who left starting blocks more swiftly, as he came out all guns blazing, hitting forehand winners at 100 mph and keeping the average speed of his second serve close to 120 mph. 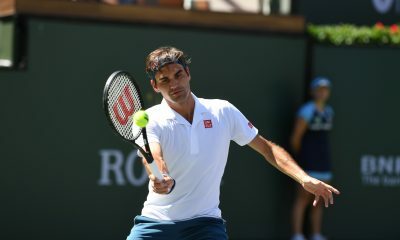 The first break points for him arrived quickly in the third game, which lasted 22 points and over 12 minutes, but two forehand unforced errors for the baseline and a not-impossible backhand volley that landed just wide denied him the early advantage in the first set. While six points gone against the serve in the following seven games seemed to be the prologue to an inevitable tie-break, Isner had to face his first break point of the match (and only the eighth in the tournament) after Anderson managed to find two very deep returns on his second serves, but he canceled it with a 129 mph second serve. The tie-break eventually arrived: Isner took an early 3-1 lead with an inside-out forehand winner, but Anderson promptly equalized the minibreak with a cross court forehand passing shot. On the final straight, Anderson was able to capitalize on Isner’s weakness when he is attacked on his left-hand side, and the set ended with two baseline unforced error by the American. The 63-minute first set showed that Isner has a better serve and a more powerful forehand that can rival with the best in the game; on the other side Anderson can move better and is more balanced on the two sides during rallies. When Isner is attacked on his backhand and has to play a running passing shot more often than not he resorts to a defensive lob with a one-hand. In the second set Anderson gave the impression he could edge away: he was the only one to get to “40” on his opponent’s serve (twice) and he also had a break point at 4-4 (erased by Isner with a forehand volley), but more importantly he was returning a lot more serves than his opponent. 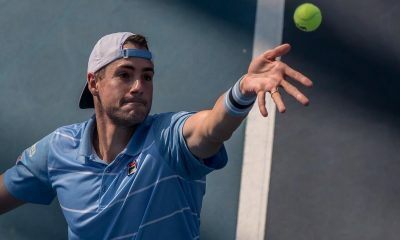 However, in the second “inevitable” tie-break of the match John Isner produced his best two returns in the set to sprint to a 5-0 lead that allowed him to equalize at one set all. We had to wait almost two hours and a half to see the first break of the match: it was Anderson who took the first stab to the “service rule” advancing to 5-3 in the third set ending the game with a backhand screamer down the line after an excellent return game. Nonetheless, it was all for nothing, as when he stepped on to serve for the set, the South African got tight, made two unforced errors and eventually got broken back by Isner who quickly rose to the occasion. The following tie-break, the third of the afternoon, was a 15-minute affair jam-packed of great tennis and chances for both players: thundering serves, of course, but also blistering returns, soft volleys and impossible passing shots. Two set-points for each player brought the score to 9-9, after Anderson crucially served his second double fault of the match at 8-7, squandering his real chance to take a 2 sets to 1 lead. Isner closed the set 11-9 when he returned deep on Anderson’s second serve to force a forehand error by Anderson. A phenomenal sequence of returns by the South African gave him an early break for 3-2 in the fourth set, but like it had happened just a short while earlier, he was not able to consolidate the advantage, this time not through fault of his own, but mainly due to some very good passes by Isner. 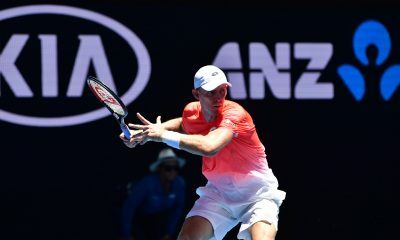 Nonetheless, Anderson kept increasing the pressure with his returns and realized an 11-2 streak that got him to 5-4 40-0 and eventually closed the set at his fourth set point to bring the match to a decider. The two almighty serves took control of the fifth set from the get-go: for the first ten games the returner could barely win one point per game, the first break point arrived at 7-7 for Anderson, but Isner wiped it clean with a 127-mph ace. The American appeared by far the more tired of the two contenders, but he was serving first, so his break points would be match-points. Unfortunately for him break points never came, and as the set would transition from tennis into legend, Anderson would look more and more the only one on court with some energies left. Isner never got to “40” on Anderson’s serve in the final set, and only three times (out of 25) he managed to win two points. He was ‘clutch’ enough to pull off three aces on the four break points he had to save along the way, but he could never be a threat during his return games. The absurdity of a 2 hours, 55 minutes fifth set became even more absurd when, at 24-24, Anderson fell to the ground after his return, just to get himself back up, play a lefthanded forehand and then win that point, for the jubilation of the crowd that was witnessing history being made in the falling lights of the evening. “I don’t know what to say right now – said Kevin Anderson to the BBC just seconds after stepping off the court, while Isner was still signing autographs – I mean, just playing like that in those sort of conditions is really tough on both of us. At the end you feel like this is a draw between the two of us, but somebody has to win. John is such a great guy. I really feel for him because if I’ve been on the opposite side, I don’t know I would take that, laying for so long and coming up short”. Now he has to think about the final on Sunday, and how to recover after this kind of marathon: “It’s tough. I really don’t know. I will just try to do the same protocols – Anderson said – I hope this is a sign for Grand Slams to change this format for five sets. […] I really hope we can look at this and address this because at the end you don’t even feel that great out there”. In fact, at the moment the US Open is the only Major adopting the tie-break in all sets, while Wimbledon, the Australian Open and Roland Garros do maintain the “two-game advantage” format in the final set.